This year at Australias International Airshow was the debut of the F35 JSF to the Australian public. But beside of many more military as civil aircraft, there was also quite a few additive manufactured components on display. 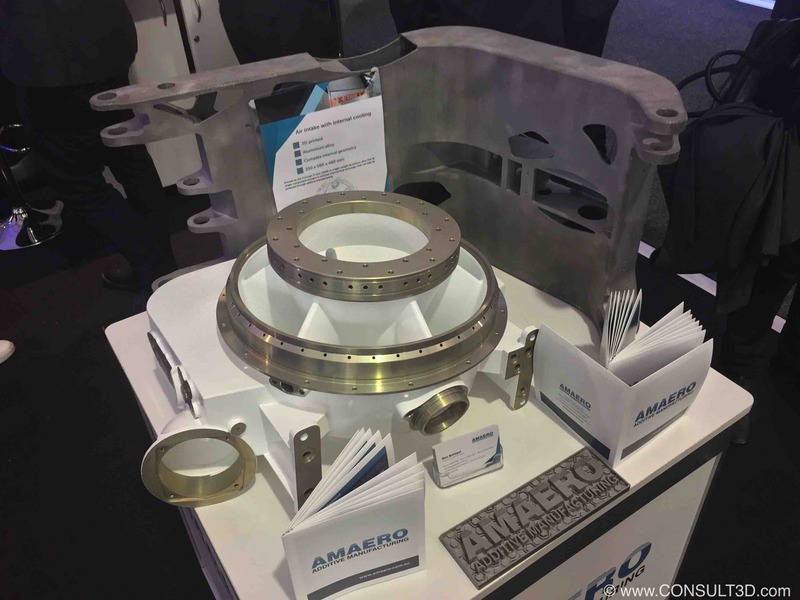 AMAERO Engineering Pty Ltd had two large Aluminium parts on their booth. A turbine housing which demonstrated the current state direct metal AM technologies. The second part was a large bracket for a Chinese aerospace manufacturer. On this INSITU PACIFIC ScanEagle® several Selective Laser Sintering (SLS) parts could be spotted. SLS has proven to be ideal when it comes to manufacturing of small to medium-sized drone components. Through SLS, complex shapes can be manufactured, in durable materials with full flexibility regarding customisation and design iterations. All this at a very competitive price level. 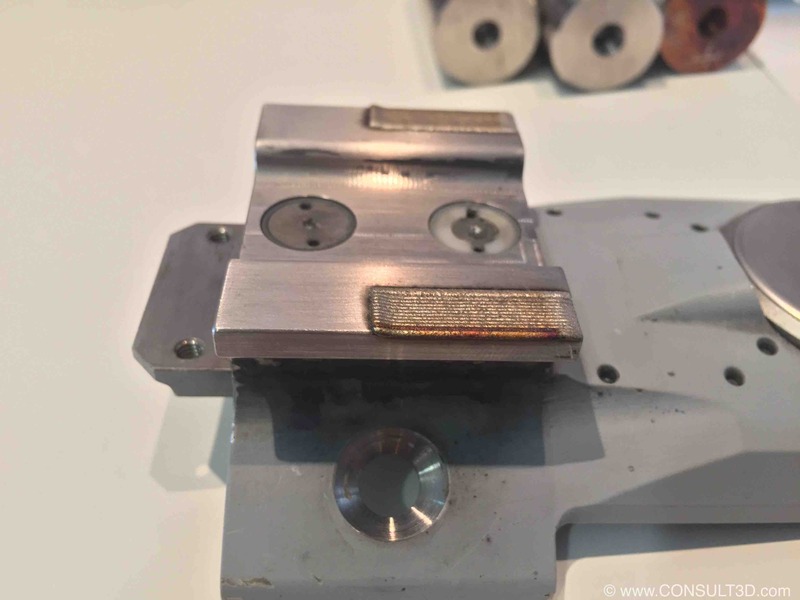 DSTG (previously known as DSTO) had several Laser Metal Fusion (LMF) parts on display. This process, belonging to the group of direct energy deposition technologies, is oftentimes also referred to with ‘cladding’. Terminology aside, the first parts where fatigue specimens to assess the possibility of a novel repair method for a housing of a landing gear. So these specimens were used for lab testing to qualify the repair process. The specimen in the middle shows how it looks directly after the LMF process. Whilst tested, the specimens were subject to swelling stress and compression loadings and actually outperformed the ‘as new’ properties. This image shows a weapon carrier which was damaged through vibrations of the payload. LMF was used rebuilt the damaged sections on both sides. Once qualified, such repair techniques can offer significant cost savings potentials. Especially if the current method is simply replacing the parts. Another reason to repair and reconditioning such components is to avoid the, sometimes significant, lead times. So if cost saving through repairing comes together with increased up-time of the weapon system it makes it an easy decision to go for the repair process. There was also a new player in metal AM exhibiting at the show. TITOMIC offers industrial solutions for cold-gas dynamic spraying, commonly known as ‘Coldspray’. On display was an industrial robot from ABB, handling a cold spray-gun for building up near net shape components in titanium. The bike frame shown had a total weight of 1,20 kg and the total material usage was only 1,35 kg. The build time and robotic finishing were both under 20 mins each. claiming it will be the largest metal additive production envelope globally. 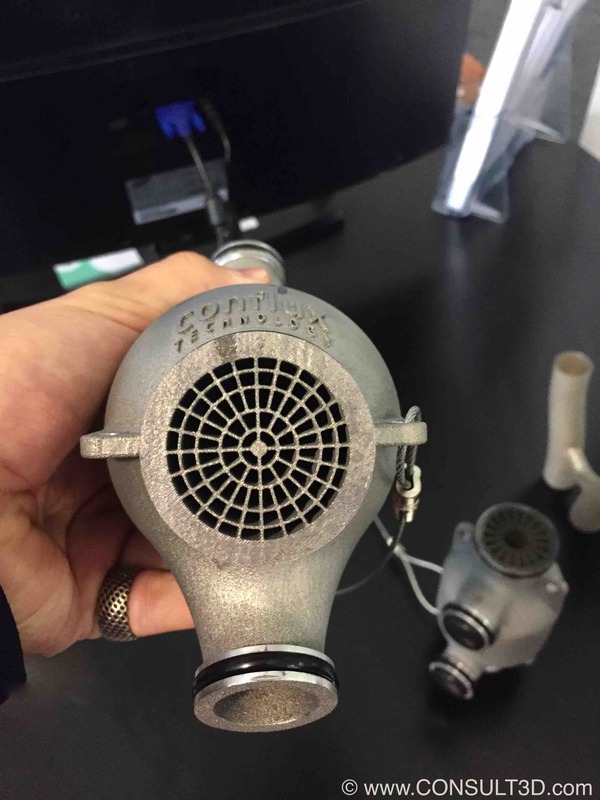 Cold spray uses the bonding effect of fast accelerated metal particles hitting a target. No heat is required for the bonding, resulting in parts without internal residual stress. making the process very economical.